I many not work a 9 to 5 job or actually work at all but I’m very much aware that a huge percentage of men are forced day after day to wear suits. This is because many offices have strict dress codes that require men to wear a suit and tie. I think an outfit such as what I’m wearing would nine times out of ten be acceptable as an alternative to the simple grey suit that you're currently wearing. If you’re not feeling brave enough or if you think that an outfit like this wouldn’t fly in your office then there’s a simple solution. All you have to do is wear your grey suit and at the end of the work day when it’s time to head out for a drink with colleagues or meet your Tinder date (not advising the use of Tinder) just switch out your grey suit jacket for another one. It can be the jacket from your blue work suit or even better a dark green or burgundy jacket similar to what I’m wearing. I also suggest wearing a pattered coat to add a little interest and to show that you care about the details but of course your go to camel overcoat would look just as good. Love it, you look so elegant and chic! You are always so perfect!!!! Great style!!! And so edgy! I love your outfit! I love the purple, and that white scarf is the perfect accessory. Stunning look! Have a wonderful weekend, Justin! Arrasou look perfeito amei, tenha um final de semana abençoado. I always sympathized with men having to wear suits at all times, even in the summer (not an easy task I imagine). However, after a time you do get used to it. I wore a uniform when I was a flight attendant and I got so used to it, I didn't even feel it on me on the hottest of days. You do offer a very stylish suggestion. As suits are here to stay, at least in the business world, why not try to make them more fun? I think your outfit is very professional and business appropriate....and as you say even if someone is required to wear a strict grey suit (as a friend of mine is), there is no reason why he shouldn't change after work into something more stylish. 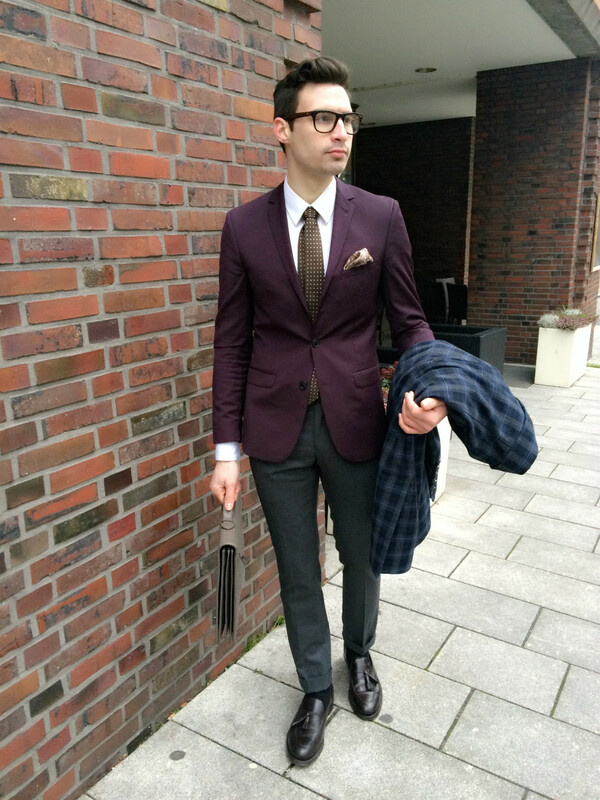 Fantastic outfit, the burgundy blazer really suits you! 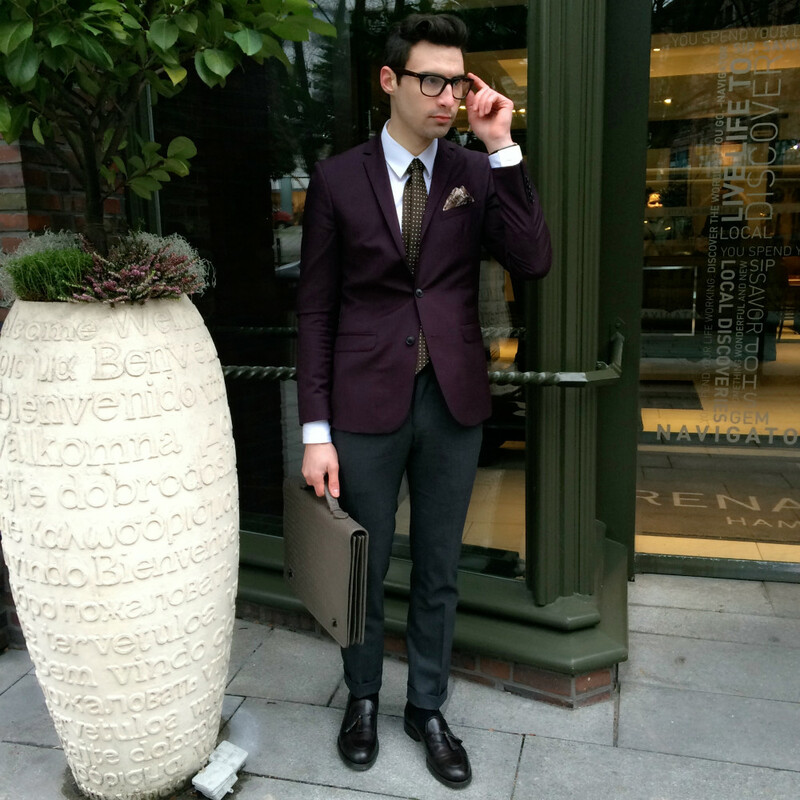 Loving the color of this suit jacket - you look awesome!! TRES CHIC!!! LOVVVE your checked coat with your burgundy suit----AMAZZZZING! Wow this outfit is incredible, so perfect. 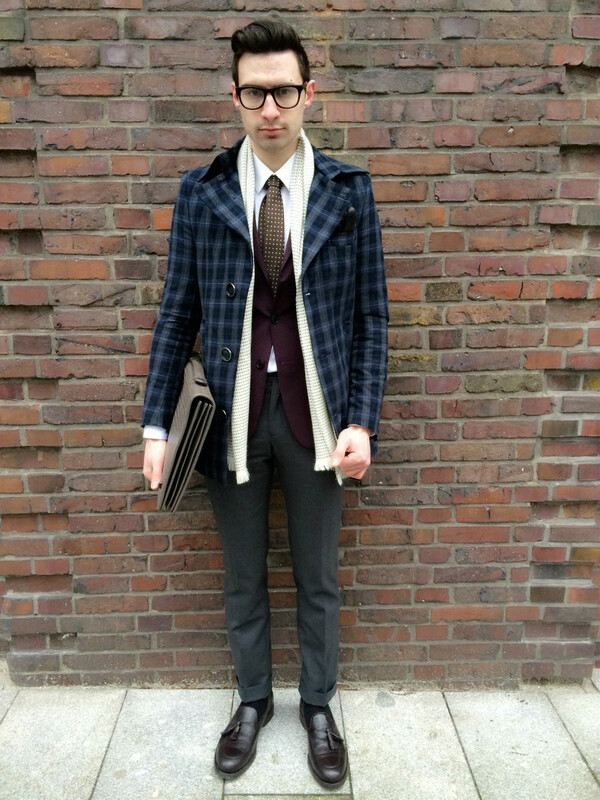 I like the briefcase and the coat. Very elegant and chic look. 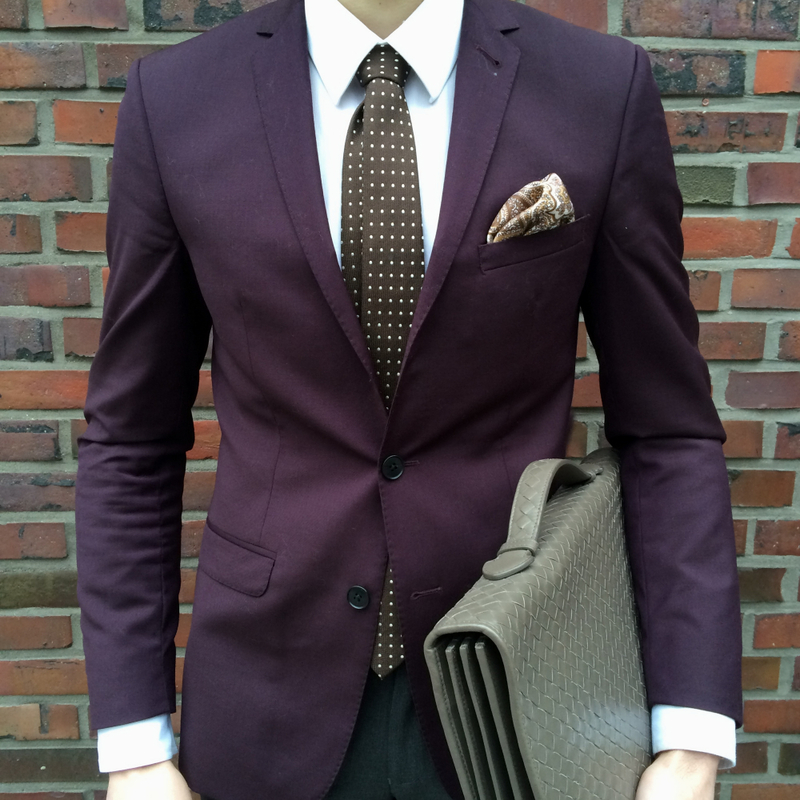 Love the maroon suit. Such a polished look! Great photos! Very stylish look! wow I really love men in suits! You look so classy, like always great choice and combination! I love your style! You are so stylish! Love your Marsala coat! So chic !! lovely suit jacket. i love ur style this jacket is so OMG looking good. Such a great look and I agree, it's a nice switch up from a plain black or grey suit. 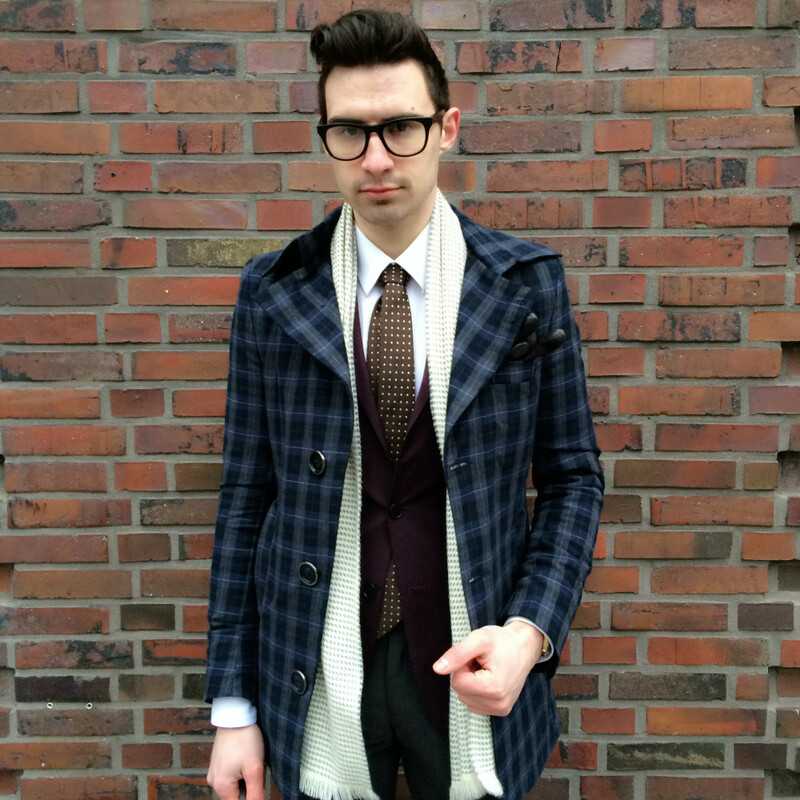 I love the burgundy and love how you paired it with the plaid coat. I also enjoyed reading your about me! I'm also 22 and I'm from NYC, currently working at Teen Vogue. Very nice e-meeting you! 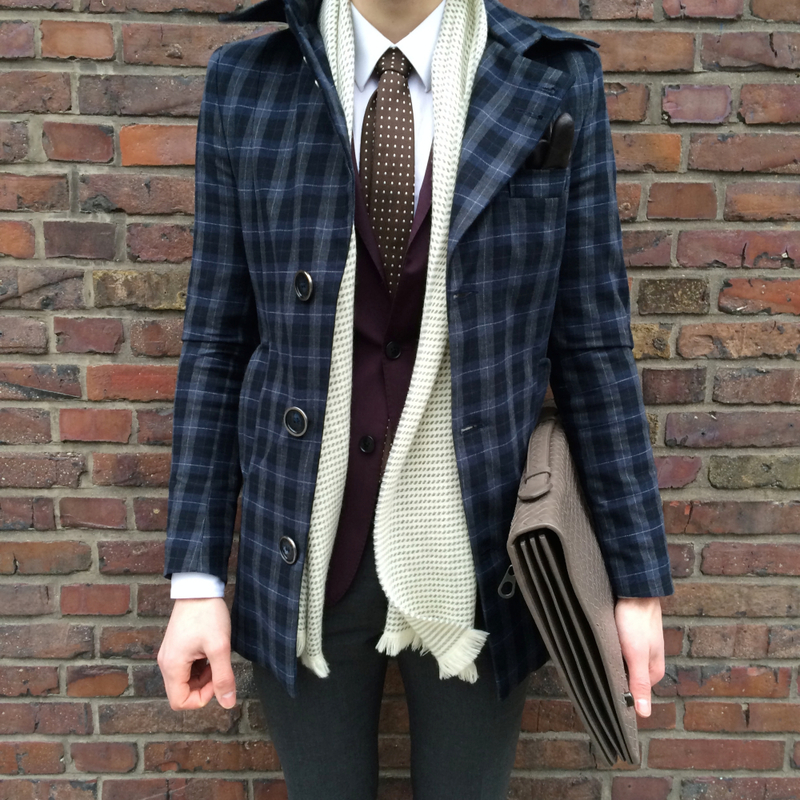 Great plaid jacket and briefcase! 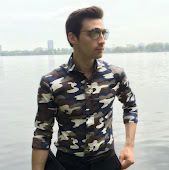 Great Style, I hope you'll give yourself a look at my site.